We have opened the doorway of the 11:11. We have turned fog into sunshine. We have brought the Laguna vortex into perfection. Victory of the Light! I wish we had people like you where I'm.I would love to see any type of space craft.I send you and all other light workers love light! that's great news.It's nice to hear that more and more are awaking.I guess now that we are...we should curl our selves and start cleaning the mess those guys did. Just got home from the magnificent Cobra Conference in Laguna Beach, huge thanks to everyone! Thursday was the best Thanks Giving ever, a true feast for the Spirit as we energized and expanded the beautiful portal for the 11/11 as the sun set and the stars and moon came up. Saturday was a feast for the mind and today (Sunday) was the feast for the heart! 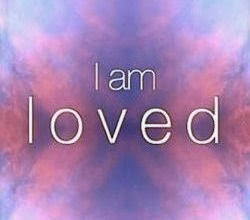 I am feeling so satisfied and will have more to say after I integrate all these experiences fully. But there is no doubt, our future is very bright...shine on! I'm sure the conference was amazing, and I wish I could had attended - next time. Sounds like Mr. and Mrs. Cobra are more than 'Real' and truly amazing beings. Cobra, I would love to hear little more about how 11:11 doorway is 'affecting' us? How does it really work? Wow Cobra you even speak Pleiadian.Could you teach us a few words? Wish I was there in Laguna..I'm looking forward to the video from the conference. God bless you, Cobra and pair Cobras. I wanted for long time to ask if there are pairs in higher realms? Many teachers say the path above is in loneliness, most of the teachers are alone, Buddha left his wife, Osho was alone, but I think the pair is the top of all efforts, the end of the game, the perfect eternal circle? I was at the Laguna conference, and I too experienced something wonderful: Dozens of Humans, being.. 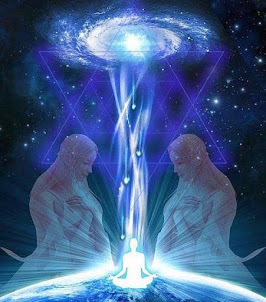 Regardless of the arrangements of molecules that manifest the physical apparatus that all these spirits/consciousnesses travel around 3D in, we created, in that conference room, a society of acceptance and respect, and yes; Love. An amazingly diverse group, found each other, despite the darkness of cultural conditioning that labors tirelessly to keep us in the belief that we are separate and helpless. It CAN be done! As an expansion on the concept of a "new financial system", I believe that more importantly, there will be a new financial "philosophy". One in which artificial worthiness, through economic "status" will be easily attainable, yet entirely meaningless. Worthiness and equality will be so fundamental, pervasive, and deeply fulfilling, that no one will feel the need to prove their value to themselves or/through others, artificially, by acquiring more expensive "stuff", than the next person. Economic competition will be a thing of the past. We will not want for, more than we need to sustain ourselves. Abundance will be clearly visible, once we have no desire to TAKE from the collective, simply to accessorize an imaginary pretentious persona. We will finally "get real", and therefore stop trying to unnecessarily demonstrate our worthiness to ourselves, through possessions. A mature society understands the precisely equal value of every unique spirit/consciousness within it. Competition gives way to deep and REAL fulfillment through cohesion, and mutual respect. We will live for each other, instead of artificially adorning ourselves with "things", once we TRULY understand our fundamental, undeniable equality. "Things" will come to simply represent the positive feelings we get through using them, not any kind of illusory social status associated with owning them. It was immensely restorative for me, to be part of a fairly large group, and sense miniscule competition, and zero judgement. For me, the conference was a welcome recharging of the spiritual/emotional battery. The ultimate treat/gift from this group, for me, was the group itself. Like I always say: We are always a part, and never apart. I came back from the Laguna conference two days ago. I was there from the beginning up to the very end. However, it took me two days to make my decision and to post this. Ladies and gentlemen, Cobrasssss.... get ready for this. #1 - I was dreaming to finally meet the mysterious Cobra.... and to have MY OWN first ET contact! #3 - On the third day, this is what Cobra is telling US - "I CAME BACK FROM THE FUTURE TO TELL YOU THAT EVERYTHING IS GOING TO BE ALLRIGHT". This statement made me sooo angry and frustrated!!! I just could NOT resist the desire to attack him. So, I had to let it out. "Cobra, you came back from the future to tell US that everything is going to be... ALLL-RIGHT? WE ARE doing all-right now... (especially in that room, where the energy was like being AT the 5D plane). 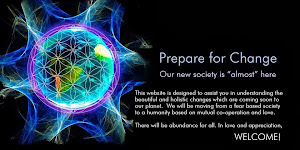 WE are working so hard to fly up to the 5D or 6D planes... and we are going to get an "all right" life? WE NEED a better life! WE deserve a better life!!!" #4 - THE COBRA FAMILY was not introduced properly. I asked Rob to introduce US to each other. But Rob was running all the time, and he was taking care of so many things at once, that he forgot about it... Amazingly, so did I! (DIANE, I am so sorry we've missed the opportunity. I did NOT know you were there...). Being a very shy person, it took me two days to start talking to the "strangers", and/or ask Cobra a few of the questions I wanted to ask him. (From the list of 25+ questions...). GOSH, when I was feeling finally, being with a family, and I WAS ready to open my mouth... THE PARTY WAS OVER!!!! IT WAS TOOOO SHORT!!!! Well, Cobrasss.... let's get serious now. ALL I can say is - WOOOOWWW!!!!! For a few days, we were in the "5D WONDERLAND!!!" 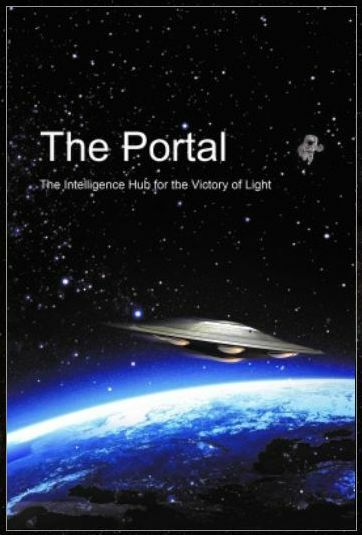 The opening of the portal was one of the most important MISSION ACCOMPLISHED!!! THANK YOU COBRA for the amazing experience!!!! THANK YOU COBRASSSSS for being there!!! from what i understand, cobra doesn't rely or report from "channeled" information. which is great! i put together what he says along with channelers i really trust: john smallman, ron head, linda dillon, marlene swetlishoff, blossom goodchild... and it sounds like the probability of The Event happening in this window of opportunity (before 12/21) is... maybe... 75% (??) i don't know whether to be conservative or optimistic in my probabilites. thoughts? 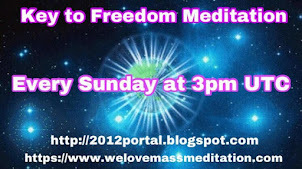 I must thank all of you who were in attendance it was so amazingly profound and uplifting for me to have you all there. Hye A I could not introduce everybody there as I did not know everybody from portal site or their avatar names. I did recommend everyone put their blogpost names on their name tags but...... I have everyone e-mail address and you can send out a request for that aftwr I get that list together! I hope that helps! 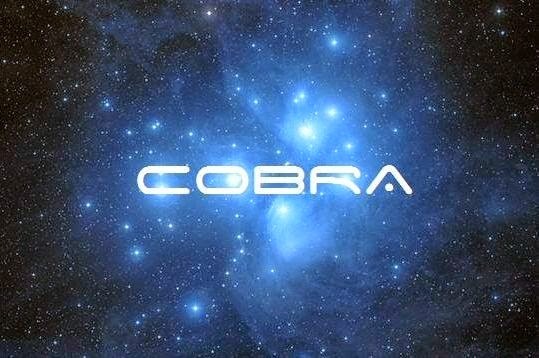 Cobra answered so many questions with such clarity,diginity,assurance, confidence and power that all were uplifted by the positive news. 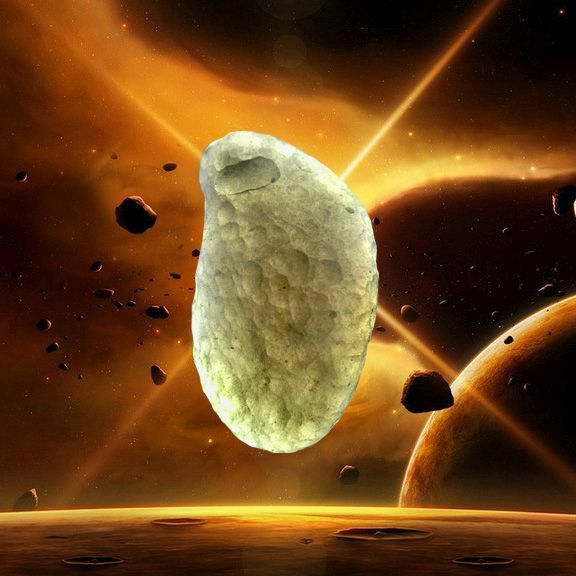 The revelations of the details behind the 8 million year debacle of darkness and the plan of redemption were so percise and exact that for the first time in my life IAM assured of the vistory of the light in my lifetime. 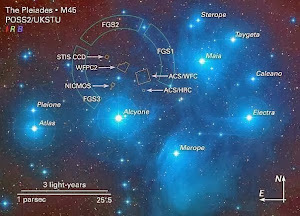 The power and love of our space family is assuring our complete and total liberation. cobras activations and healing tachyon technology was also a great gift that we all got to experience. Our egypt trip has begun to explode as a result of so many enthralled with the personality and calm presence of our emissary of light. Cobras soft spoken demeanor and honesty cleared all doubt and fear. 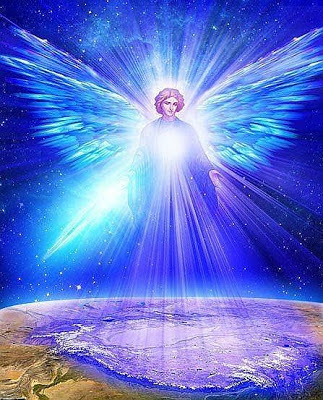 The darkness and the final archons are soon to be cleared, so have no fear and be of good cheer fellow light workers all is being divinely orchestrated to resotre perfect order and to liberate this planet. No more guilt no more lies no more greed no more manipulations will be tolerated the galctic codex is to be enforced humanity is to be free. Only love only love ! 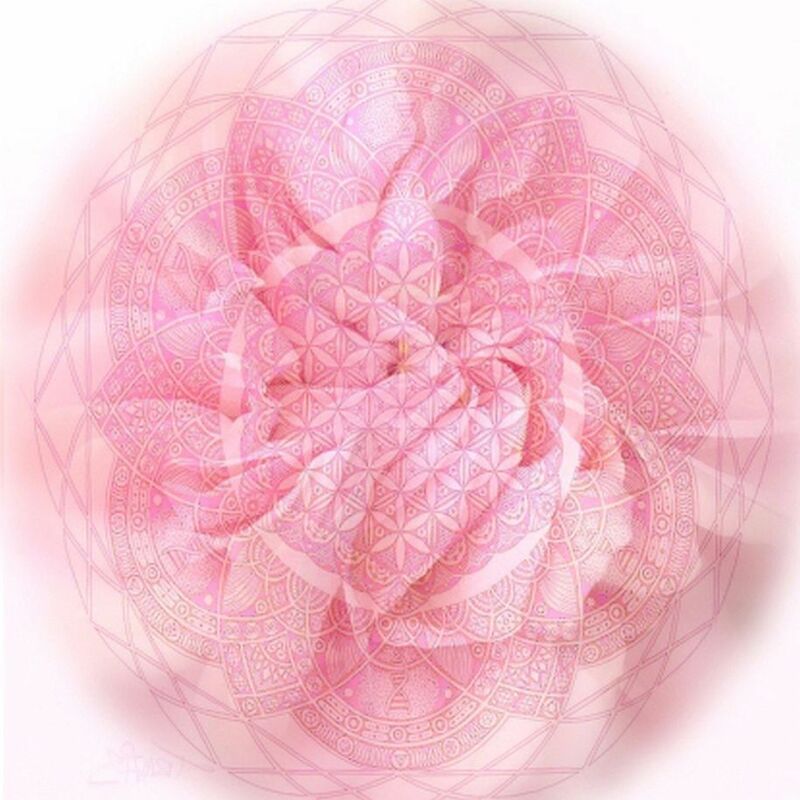 You are the source of that love and it resides in your hearts, You are the way home. time is revealing the truth and the spirit of love and life is pouring down from on high. Act now realize your love light and energy is needed in action an service however you are guided all systems go. Thanks 4 update, it is appreciated. Also is good to be reassured about the future for humankind & this plnet etc. It seems from various folk I am in touch with, that at present there are many reservations amongst people. I too have my doubts, but manage to 'keep the faith' that all will be well. COBRA: I appreciate that you are a very busy fellow, but I am sure I speak for many others (particularly those who for whatever reasons, could not attend the conferences)-who are awaiting some feedback on 'progress of brining in the light, and PERMANENTLY, & TOTALLY removing Dark Influences' -from Planet Earth. It is also appreciated that you might still be restricted in what you can report back to us. On a positive note, here is a fascinating link to a vid about a Mayan fellow who is doing/carrying out daily 'practical & powerful & effective work' to counter effect the Cern Hadron Collider's evil effects, -being applied by TPTB. I wish that my schedule would have permitted me to be there. Thank you, friends, thank everybody for sharing! I have a feeling that I was there. keep your legs in ground.. Thank you so much Cobra! What an incredible weekend in Laguna Beach. 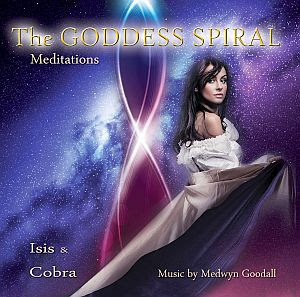 Met 2 amazing emissaries of light in person, Cobra and Isis, both were more than anything I had expected. Cobra is the real deal and I was truly blessed to have been a part of it. Rob Potter glued everything together and gave fantastic talks...a stellar host who had us smiling the entire time. I was so glad to meet everyone there, the room was filled with love and light...I am still feeling the effects! Wish I could make Egypt...if you are considering it and have the resources, go for it! we know you're super busy. and some wonderful details would also be much appreciated. especially this summer and fall i've been just scraping by with the energy to do stuff. let alone partake in joy stuff. the clearing, the expansions. i've spent so much time in bed. some of us are dying to know that a LIFE is coming. i've reached a new level of exhaustion and despondency...so maybe that's the perfect clue that SOMETHING is going to happen "soon". ha, i do get quite whiney sometimes! mr & mrs. cobra, you guys will be the Rock Stars of the eon!! so grateful for all your work and dedication. um...I might be wrong but....Cobra said in his interview that he will ....either start to release information or release some information on Dec. 3-rd.So I'm really anticipating that...since I cannot participate in the conferences he gives out.In any case...I kind of see some patterns here and there of positive things coming out to the surface that before seamed to be oppressed.But also there is some bizarre decisions that came up ...like our government wishes to put children in school from the age 3-4....but I don't think that will happen. Um, Cobra gave us attendees permission to give intel on the information he shared. If you are interested, my blog has the, ER, 'Yoda' series with some 'intel' for you. can you give the link to your blog, please? Sorry, my friend to admit THIS, but I really didn't remember your "Cobra Family" ID!!! You make me smile! Yes, Eric's 2D online persona is Neoamor. As Neo's "3D higher self", Eric's "stream of consciousness logic" may seem a bit convoluted at times, but they mean well. :) Hopefully Neo provides some level of compassionate wisdom to the online conversation. It was invigorating to spend time with you during the conference. Your positive energy, drive, and honesty are contagious. When you see something needs doing, you simply get it done. What a valuable spark you contribute to this movement. ERIC, THIS IS NOT RIGHT! How can I ever THANK YOU for the warm, heart touching words you put here about me? Amazingly, people who got help from me, do not say anything. I have asked some of them, not to mention my name... I love doing my part behind the scene, like a movie director does. But this morning, after reading Eric's comment... I decided that IT'S TIME to pass the pain to those who did not appreciate my help. So, dear Cobrassss, I am really sorry for doing this. This is NOT my style. I just have to let this out of my chest. THEREFORE, I AM ASKING ALL OF YOU - PLEASE, PLEASE, JUST READ THIS, AND DO NOT START POSTING COMMENTS WHO'S RIGHT AND/OR WHO'S WRONG. 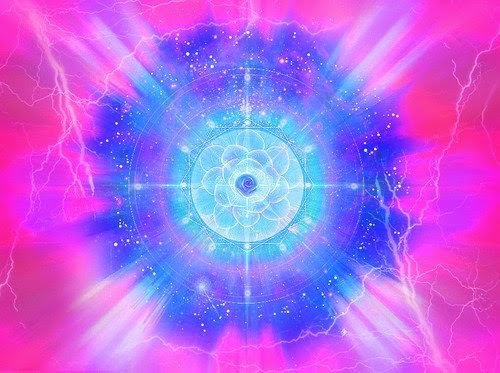 Please, keep the energy of this site of "Love and Light" pure and high. I think, THIS is the best way to teach a LESSON TO SOME who call themselves lighworkers. (Rob, relax. It's not you, my friend. I appreciate everything you did). I'd like to start by saying this - when it comes to helping people - I don't talk. I act. I like to show people how to be a help for others. Or like Eric said - "When you see something needs doing, you simply get it done". The one who hurt me lately, is a woman from Europe who was coming to be at the conference, yet for the first two days, she didn't have a place to stay. I told Rob that she is welcome to stay in my home. I even paid the half of her taxi trip from LAX. The next night, she got sick, and I was taking care of her. To make her feel better, I gave her some gifts. On our way to Laguna beach, she was feeling bad, and I was extremely worried about her. I could hardly concentrate on my driving. As soon as we were in Laguna beach, and she checked in at the hotel, the very first thing she did was... going to the beach. She wasn't sick anymore. And from there on, she kept herself within a good, looooong distance from me. And that's the way she left the conference - never saying "Thank You" to me. Guess what friends? I have forgiven her already. Because whatever she did to me... she did to herself in the first place. I DID THE RIGHT THING. AND I'LL DO IT AGAIN, if necessary. SO, I ASK YOU - PLEASE, BE THE WAYSHOWERS!! !